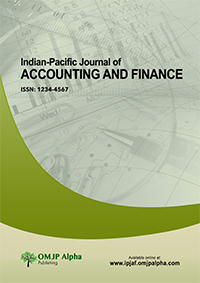 Authors are invited to submit complete, original and unpublished research papers to the Indian-Pacific Journal of Accounting and Finance (IPJAF) which may address theoretical, methodological or practical aspects related to accounting and finance studies. Copyright © 2015 OMJP Alpha Publishing. All Rights Reserved.